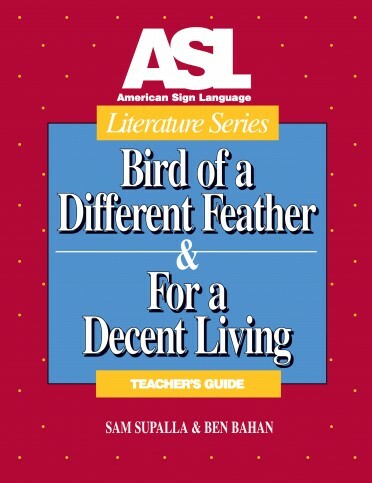 8 3/8 x 10 7/8 paperback with CD ROM. 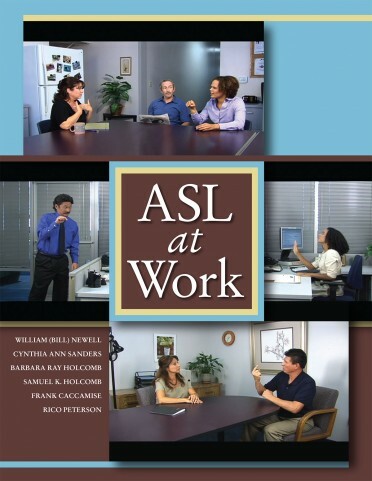 ASL at Work, a project of the NTID/RIT American Sign Language and Interpreting Education (ASLIE) department was developed by ASL teachers and researchers, William (Bill) Newell, Cynthia Sanders, Barbara Ray Holcomb, Samuel K. Holcomb, Frank Caccamise, and Rico Peterson. 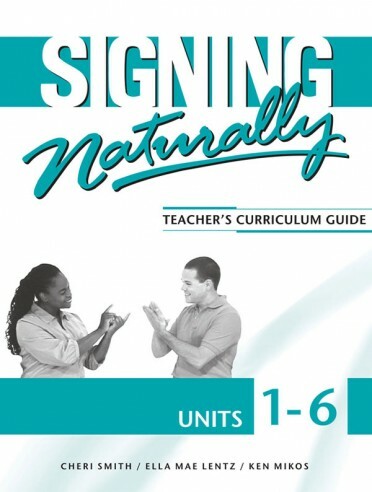 This curriculum provides instructional support designed to enable people to develop the skills and knowledge needed to communicate effectively with their Deaf co-workers, students, and clients in work and social settings. 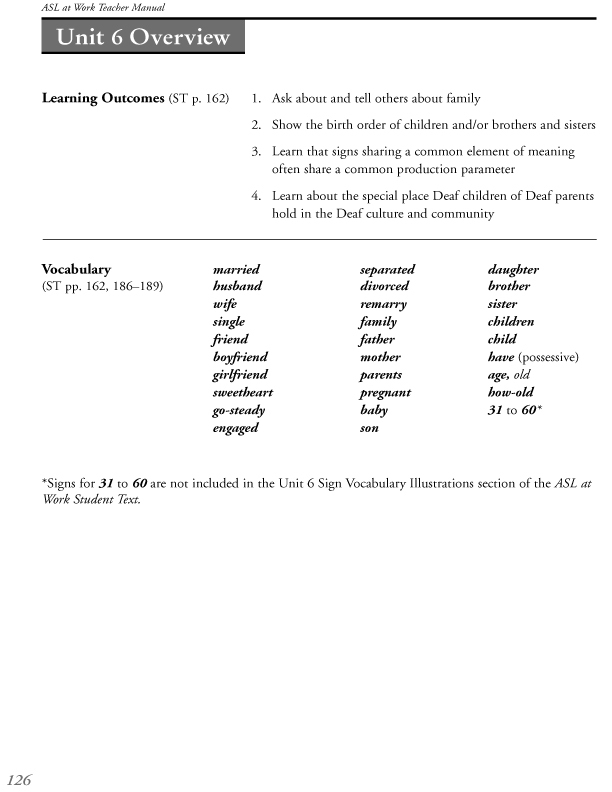 The vocabulary and grammatical components contained in ASL at Work are designed to meet the needs of many learning environments. 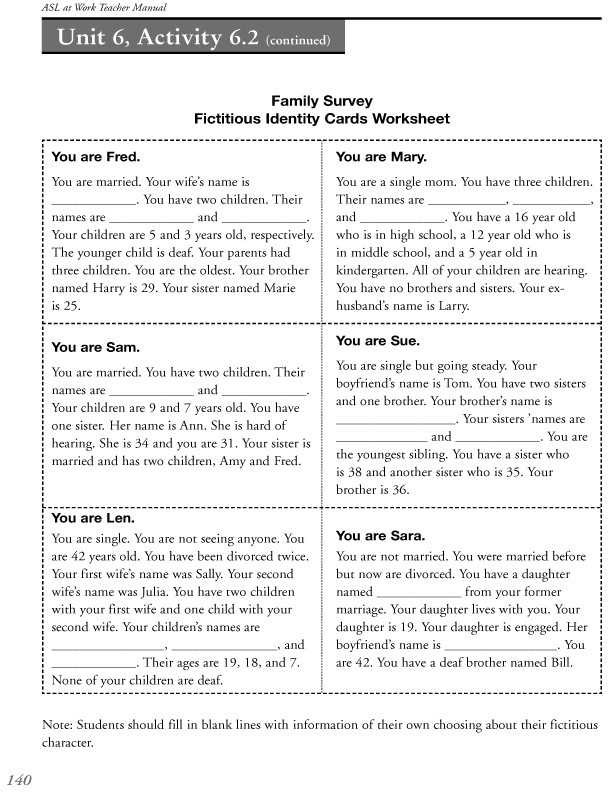 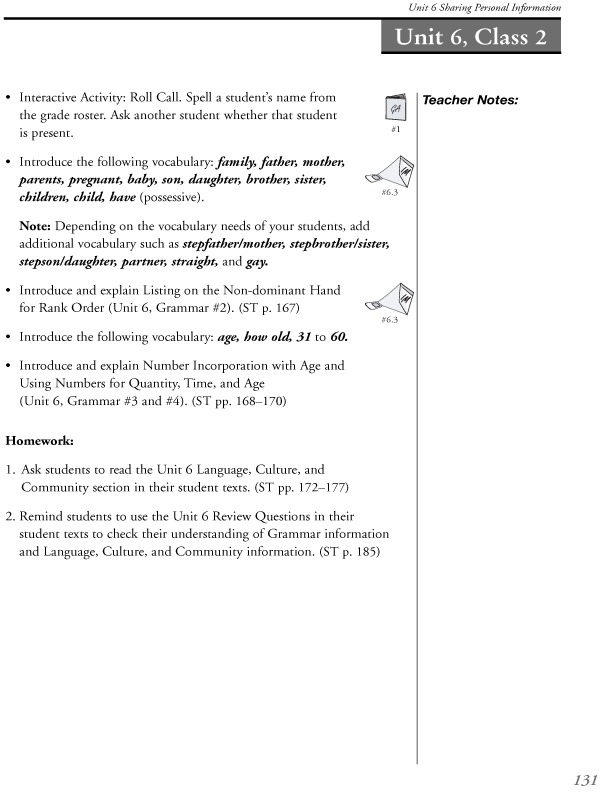 The curriculum allows teachers to manipulate the lessons to suit their particular instructional goals. 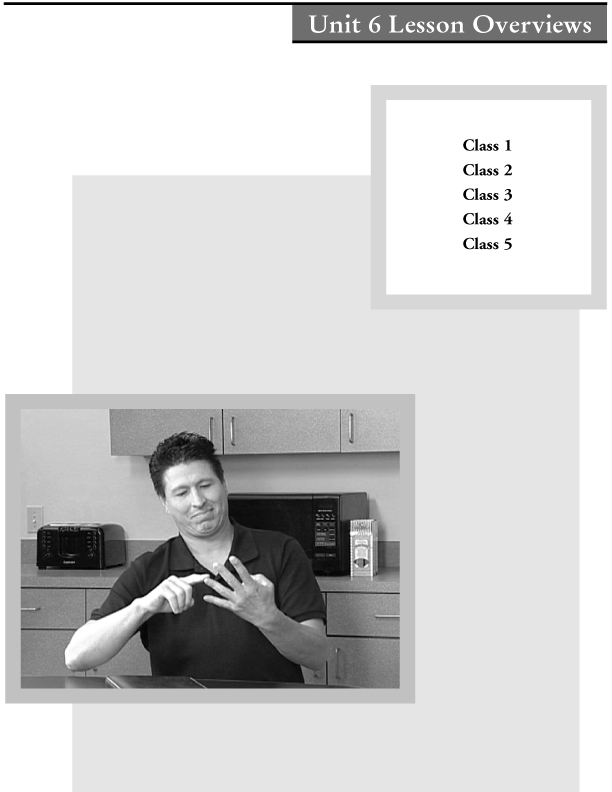 Divided into 16 instructional units, ASL at Work provides a full year of ASL instruction. 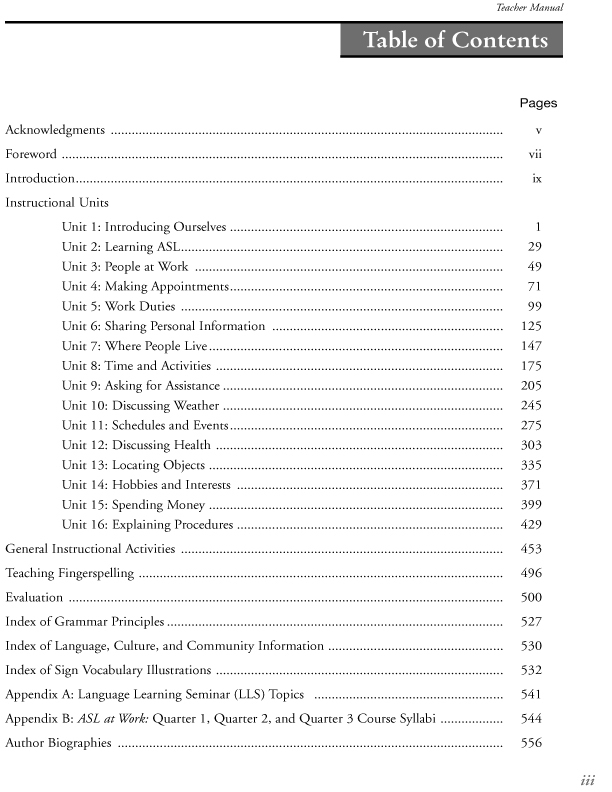 Each instructional unit in the Teacher Manual provides a Unit Overview with learning outcomes, grammar and language, culture and community information to be covered in each unit fully specified. 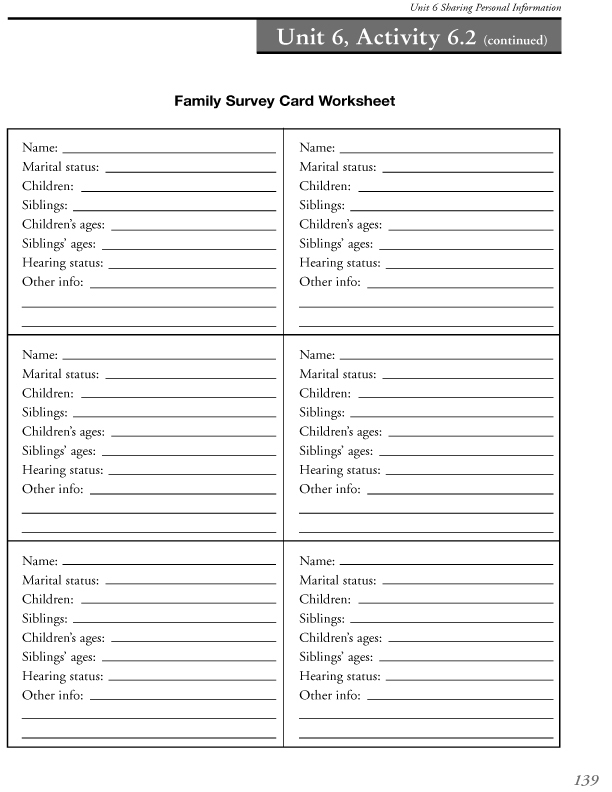 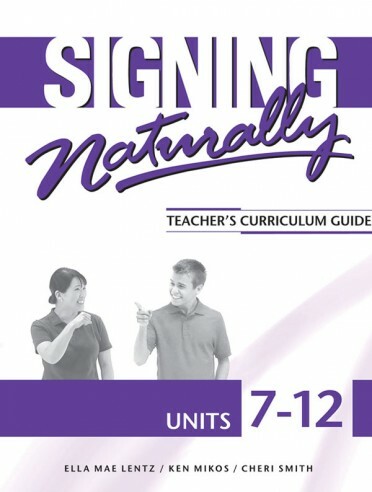 Lesson Overviews, and fully described Unit Activities are included with each instructional unit The Student Text includes full grammatical explanations and language, culture and community information with clearly drawn sign illustrations. 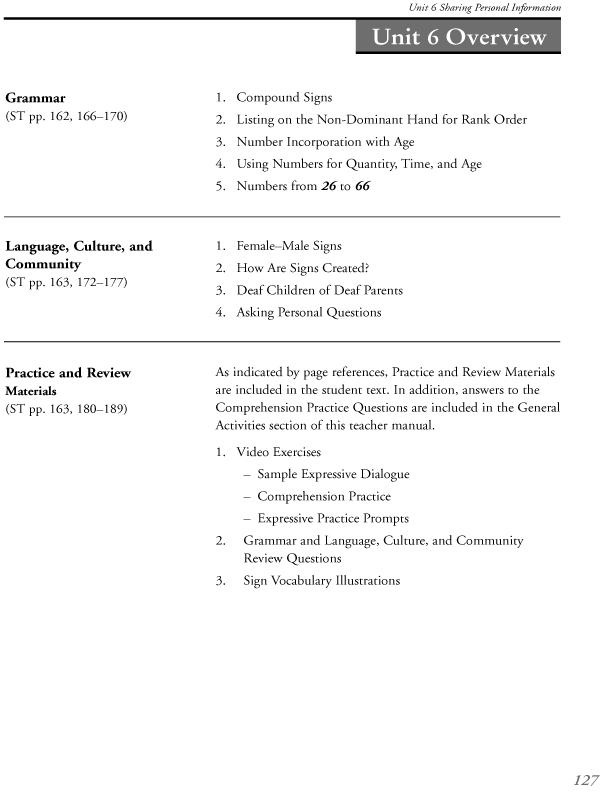 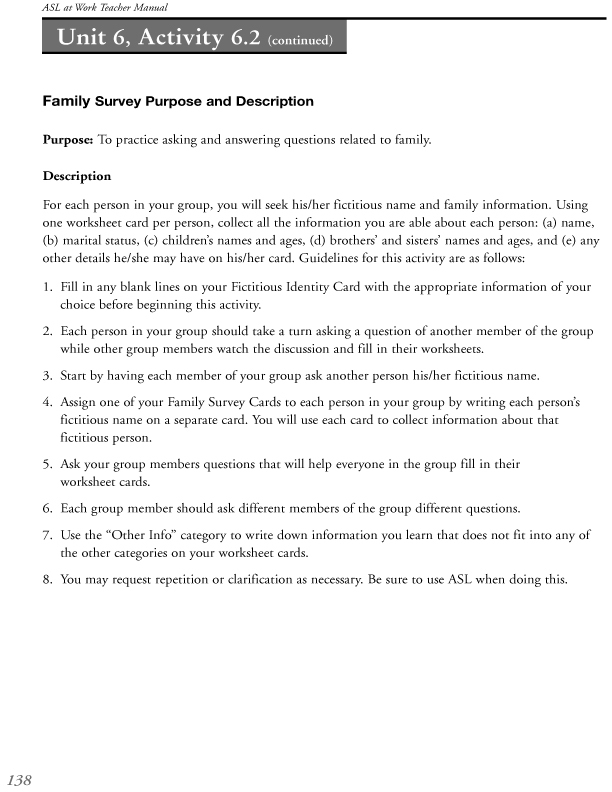 A Practice and Review Materials section in the each unit of the Student Text and an accompanying DVD provide students with targeted outside of the classroom practice to develop their expressive and receptive skills. 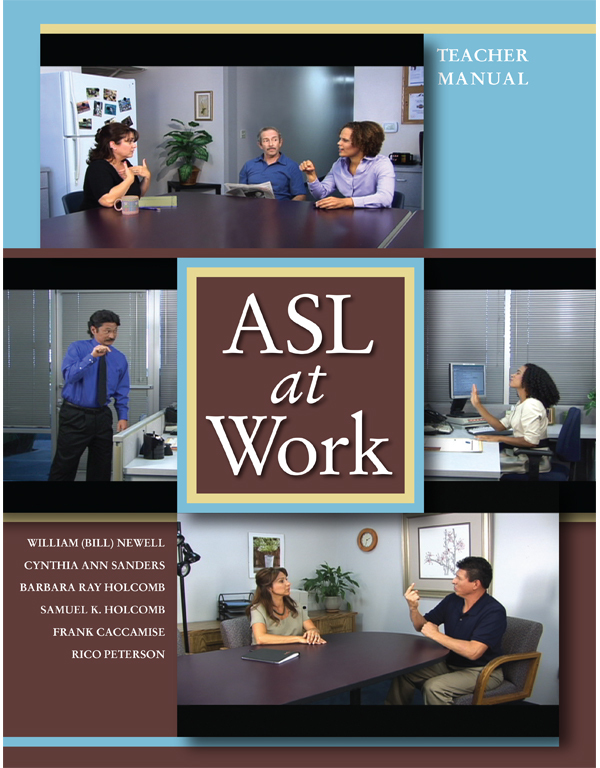 From the first lesson, ASL is "at work" for both the teacher who is teaching American Sign Language and the students who are learning ASL.